made you decide to introduce the Reserve and Collect service last year? and child seats immediately available. that things like stock levels are accurate? infrastucture as well as external partners like Multimap. text confirmation to the customer. the structure of your team had to change as you have become more multichannel focused? ensure customers enjoy a good ‘fulfillment’ experience. the customer experience joined up across channels? Can customers buy online and return to stores for instance? you finding that customers that reserve online are buying additional items in store? connect audio units, safety accessories with bikes and, as previously mentioned, fitting where relevant. are in stock in their local store before travelling. does your e-commerce team look like? Do you develop the website in-house or via external specialists? come from other site users or from experts within our business. All reviews, questions and answers are moderated before publication. you have any plans for a mobile version of the site? Do you do anything with mobile at the moment? to developing a mobile version of our sites. 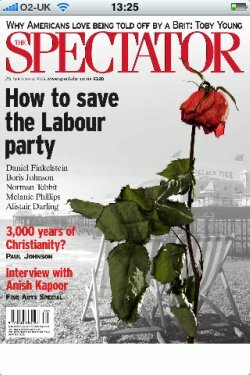 Political magazine The Spectator has just launched an iPhone app with an interesting subscription model. Unlike recent apps released by other publishers such as FT.com and The Telegraph, The Spectator’s version charges users 59p per week for access. A good landing page is one that reinforces ‘conversion intent’ by providing enough information to persuade customers to convert, but most importantly it has to be relevant to the paid ad that the user has just clicked on. When shoppers enter a very specific phrase, such as a make and model number of a product, it suggests a clear intention to purchase, and so the landing page has to send the searcher straight to the product page and make it easy to complete the purchase.